Here the world is still how it’s supposed to be, which is why it attracts many visitors from around the world. The natural surroundings are intact, with lush flora and fauna worthy of protection. The people appreciate and practice hospitality, a tradition strongly identified with Upper Bavaria. Plus, virtually every community would be a candidate for “The Prettiest Town in Germany”. The balconies in the old courtyards, lovingly decorated with countless flowers, and the carefully restored, little Baroque churches create an enchanting post-card view no matter where you look. The panorama is simply indescribable. In good weather, the peaks of the Karwendel and Wetterstein mountains look close enough to touch, spanning the horizon from the Wendelstein in the east to the Zugspitze in the south. The Fünfseenland, the Isar and the Loisach offer water lovers all swimming and water sports they can imagine. It doesn’t matter if it’s summer or winter, there are endless options here for relaxing, being active and celebrating. Right in Gartenberg within 700 yards around the “Isargarten” you’ll truly find everything you need for daily life: lots of shops such as butchers and bakers, a coffee shop, the bus stop for trips into the city, the town hall, the public library and the post office, to name the most important. For your health, Geretsried is home to more than 40 physicians and eight pharmacists. 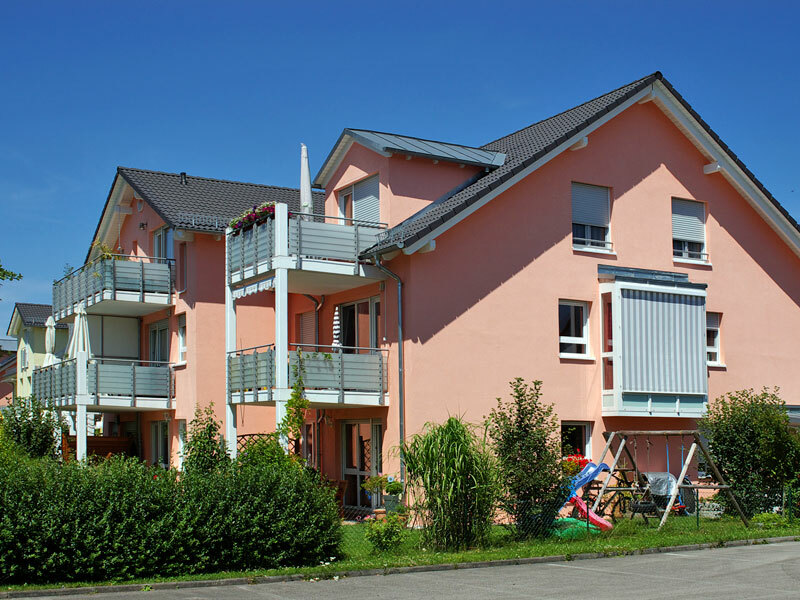 The adjacent communities of Wolfratshausen and Bad Tölz have numerous hospitals and clinics. You can find more information about Geretsried online at www.geretsried.de, including a calendar of cultural and recreational events and current notices from the town hall. We especially recommend their city map with a search function for public facilities and their commercial listings! Perfect infrastructure. 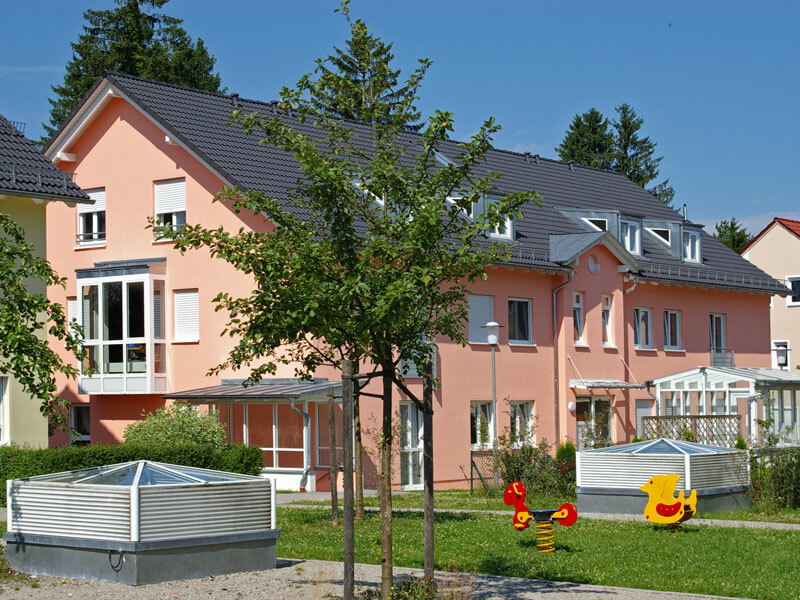 The spectrum of options spans across two elementary schools and a school for children with special needs, as well as three schools for secondary education, including two “Hauptschule” (grades 5-9), a “Realschule” (5-10) and a “Gymnasium” (5-12). The Gymnasium is well known throughout the area for both its high-quality education and its observatory! Young children receive the attention and loving care they need in eight kindergartens (age 3-6) that boast more than 600 places, two daycare centers and a kindergarten for children with special needs. Our tip: One of the nicest playgrounds, which also has room for ball games, is located right on the Isardamm safely and directly within the Isarauen nature reserve! 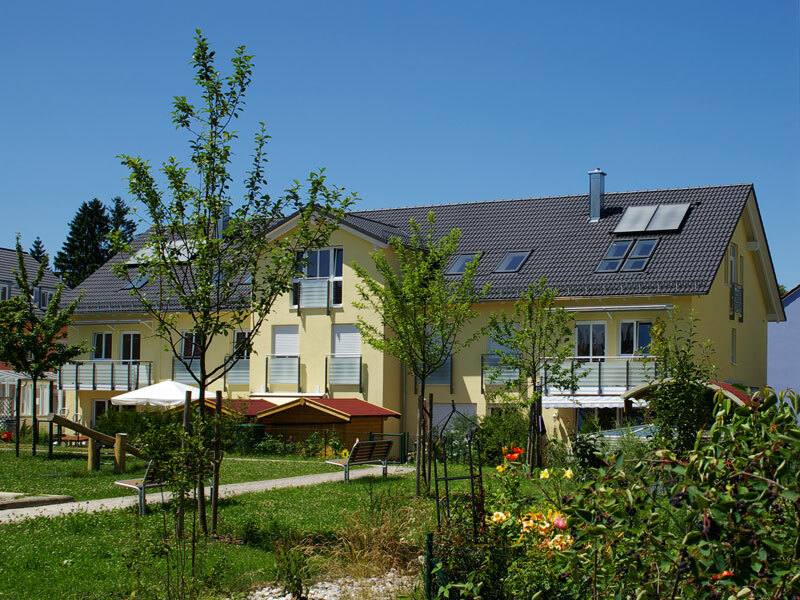 There’s also a regular meeting place for older children at the “Saftladen” youth center on Adalbert-Stifter-Straße This place always has something going on: listening to music, meeting friends, watching movies and getting together to plan other events. In terms of culture, there’s quite a lot going on – between May and September at one of the most important monasteries in Germany, for example: the Benediktbeuer Summer Concerts in the Baroque Hall of Benediktbeuern Abbey. Concerts constitute a central element of life in the city of Bad Tölz, alone due to the world-famous Tölzer Sängerknaben boys’ choir. On the more modern and multimedia side you’ll find the new musical, King Ludwig, performed at Neuschwanstein Castle where its history is truly brought to life. You’ll enjoy another journey into the past with an outing to the Glentleiten Open Air Museum in Großweil. It’s a place where you’ll experience the life of yesteryear up close and personal in old farms, churches and small village schoolhouses. There’s activity throughout the year! More athletically ambitious individuals will be thrilled by an entirely different type of tour: The nine clubs in the glider center in Königsdorf enjoy panoramic views from the sky, while others can cycle along the Isar Cycling Path from Munich through Geretsried and Bad Tölz all the way to Lake Sylvenstein. And no matter where you stand in the Tölzer region, you’re only a stone’s throw away from a golf course. 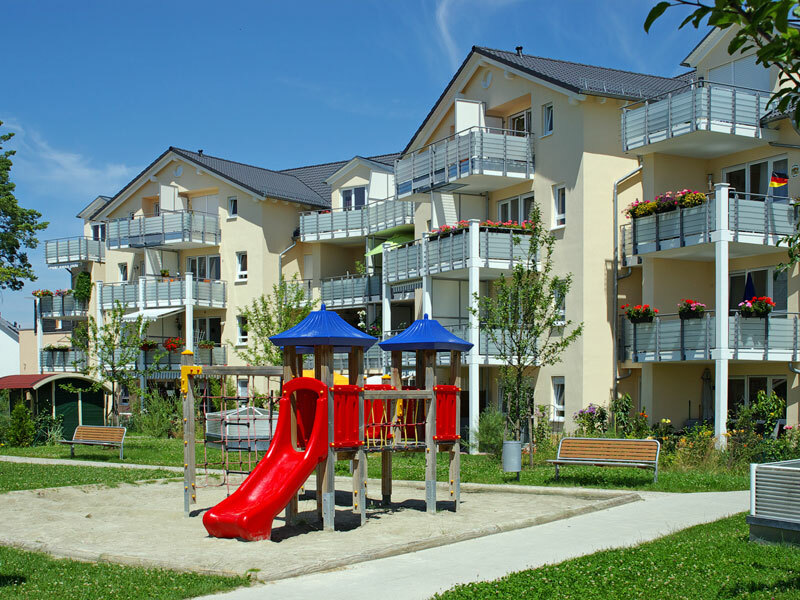 Within Gartenberg, the important things can be done by foot or bicycle: pick up the kids from the kindergarten or school, shopping and, naturally, the many activities offered by the community. Just a few steps away is the Isar! 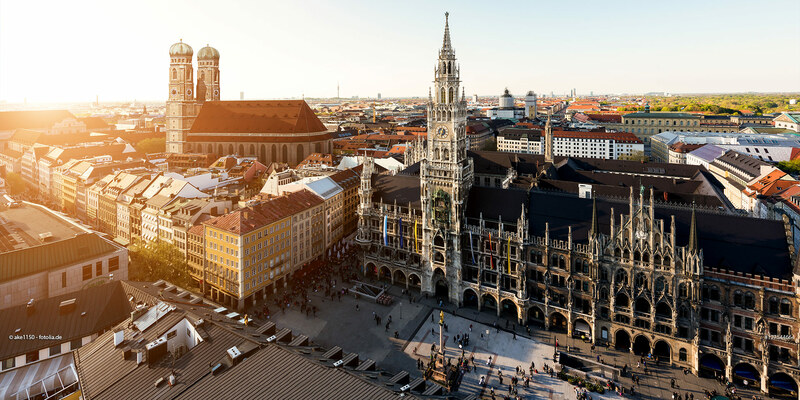 And Bavaria’s capital Munich is only a stone's throw from here either by a 20-minute car trip on the A 95 (Garmisch–Munich) or by taking the “greener” route on the B 11 to the southern edge, where you have a direct connection to the “Mittleren Ring”. Those with more distant destinations in mind will reach the Salzburg autobahn in 15 minutes, taking them past Chiemgau and into the south! There are railway and bus connections in all directions: take the city bus within Geretsried or to the railway station in Wolfsratshausen. From there, the S7 commuter train will take you to Munich. Quick and easy. A good quality of life depends equally on residing in or near a healthy business center with a wide range of industries! Qualified workers and new businesses setting down roots form the promise of a successful future. There are more than 1,200 industrial, retail and crafts businesses from different sectors creating a total of about 9,000 jobs! Small and medium-sized enterprises are particularly successful here. Around Geretsried, strategically located near the autobahn with good railway connections, there are countless commercial and industrial areas with a healthy, mixed structure. The large and small production and sales centers of industrial enterprises are represented here with their headquarters and branch offices, offering new jobs, with short commutes for employees who have set up home in the area.